—highlighting heroic acts on both sides! Though medals of honor came in different styles, they represented the heroic acts that inspired and propelled others to act beyond expectations. Early in the war, medals were given to soldiers who captured battle flags or kept their own flag safe and standing. As long as the troops saw their battle flag still standing, they were inspired to further engage. Later, heroic acts centered around capturing, killing or turning the tide of the engagement. The Congressional Medal of Honor honored only Union soldiers during the Civil War. 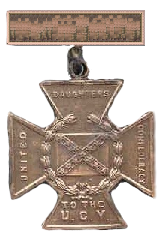 Whereas the Union Army awarded and gave soldiers' medals during the war, the Confederate States of America did not, lacking metal to mint awards; so many Confederate soldiers were not honored until 1977 when the Confederate Medal of Honor was initiated as an equivalent to the Union's award. Little Round Top, photographed by Matthew Brady after the battle. 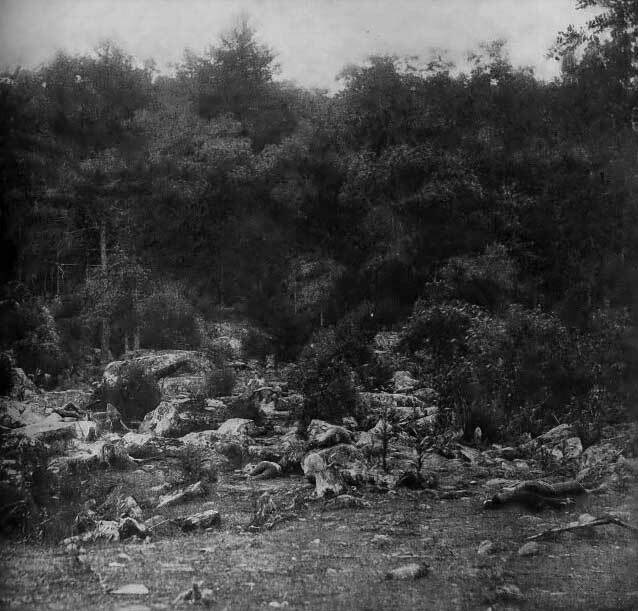 Note bodies among the rocks on the bottom right and bottom center. This area, Devil's Den, is just next to Little Round Top and was where some of the fiercest fighting took place, particularly on day two. Medals of Honor: On day two at the Battle of Gettysburg 1863, Confederate Major General John Bell Hood moved his troops to attack the Union Army's flank. At Devil's Den Private Wilson J. Barbee from the 1st Texas Infantry climbed on top of a rock outcrop during their attack and began to shoot retreating Union Army soldiers. Though shot off the rock several times, he returned to his advantage point. Finally, he was wounded so severely that he could not climb back onto the rock. He was honored with the Confederate Medal of Honor, the Southern Cross of Honor. 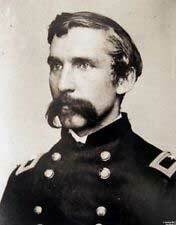 Medals of Honor: Also on day two at the Gettysburg battle, Union Army’s Joshua Lawrence Chamberlain acted heroically on Little Round Top. Several times the 15th Alabama Regiment attacked Colonel Chamberlain's regiment, the 20th Maine; and each time the Confederates were repulsed. As the Confederates charged again, Chamberlain, with casualties mounting and ammunition running low, commanded the left wing of his 20th Maine to initiate a bayonet attack down and across the hillside that surprised and forced the Confederate soldiers to retreat. He was awarded the Congressional Medal of Honor. Gettysburg, the 1993 film based on the book, The Killer Angels, is one of many fictionalized accounts of the Gettysburg battle that day. Little Round Top in the foreground to the left. 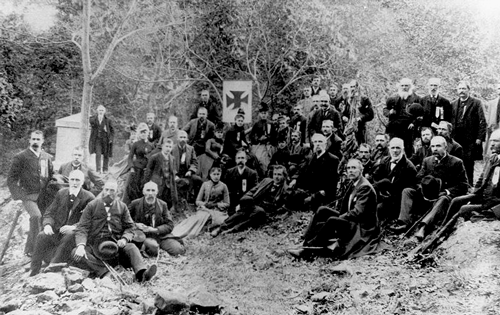 In 1889 veterans of the 20th Maine Volunteer met at Gettysburg, with General Joshua L. Chamberlain, shown in the center front leaning on his elbow to the right. Medals of Honor for battle of Gettysburg, JUNE 3-AUGUST 1, 1863--The Gettysburg Campaign, O.R.-- SERIES I--VOLUME XXVII/2 [S# 44], GENERAL ORDERS, No. 91. By order of the Secretary of War: E. D. TOWNSEND, Assistant Adjutant-General. The Confederate Roll of Honor, JUNE 3-AUGUST 1, 1863, The Gettysburg Campaign, O.R.-- SERIES I--VOLUME XXVII/2 [S# 44], GENERAL ORDERS, No. 93, GENERAL ORDERS, No. 131. ADJT. AND INSPECTOR GENERAL'S OFFICE, Richmond, Va., October 3, 1863.